It is not uncommon to hear the roar of the leaf blower from spring to fall across America. 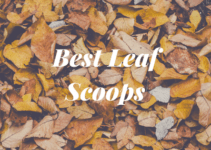 However, after about the first frost, the leaf blower is commonly tucked away and rarely thought of during the winter months. But, what if you could get some use out of your leaf blower during those all too often snowy winter days? Let’s take a look at if you can use a leaf blower to blow snow. 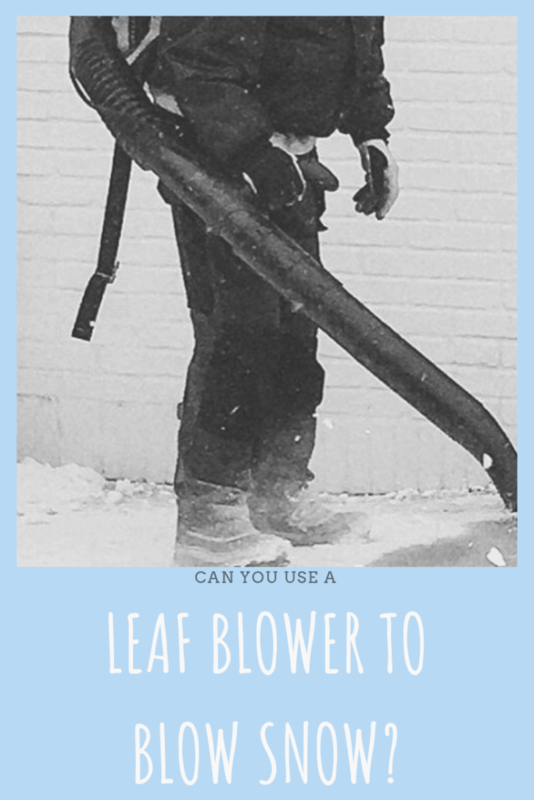 You can use a leaf blower to blow snow. If you check out YouTube, you will find numerous video of people blowing off their driveways, sidewalks, and cars with their leaf blowers. The amount of snow that you can clear will depend on the amount of snow, the weight of the snow, and the power of the leaf blower. You can see an example of powerful backpack leaf blower making easy work of about 4 inches of powdery snow via the below video made by the guys at Tools In Action. We would suspect that this blower could handle at least an inch or two more of similar snow. 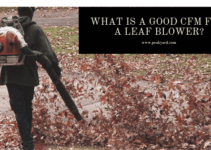 Most readers likely do not have a leaf blower with as much power as the one above. However, even a light-duty leaf blower can somewhat get the job done with a minimal amount of snow (see the video below). Arguably, it would likely be much faster to shovel instead of using minimally powered leaf blower. But, it could be a good option for clearing smaller areas such a porch or a deck. If you own a leaf blower, your best bet is to test it out in various types of snow to get an idea of what it can handle. We do not recommend purchasing a leaf blower for the primary purpose of blowing snow. This is especially true if you are the type of person that waits to clear your driveway until it stops snowing. A snow blower is a much more practical choice because it can typically handle a broader range of snow. Lastly, you should be cautious about using a leaf blower in the snow. You want to avoid getting the engine wet because moisture can cause performance issue or potential damage. We do not recommend using an electric leaf blower in the snow because of the potential for shock. If your leaf blower does get wet, you should allow it to fully dry outdoor indoors to avoid the potential for the blower to freeze.